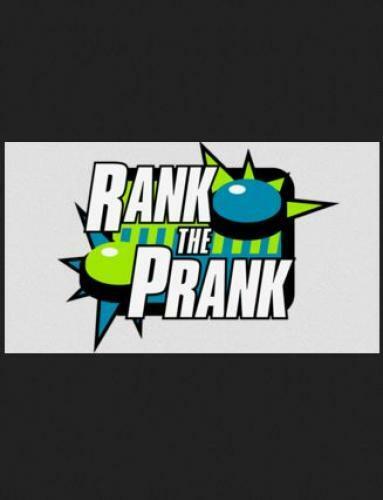 When will be Rank the Prank next episode air date? Is Rank the Prank renewed or cancelled? Where to countdown Rank the Prank air dates? Is Rank the Prank worth watching? Kids join forces with special effects experts to play huge pranks on an unsuspecting public. At stake is the chance to stage a mind-blowing MEGA PRANK on a target of their choice! Two teams compete to pull practical jokes on an unsuspecting public. The pesky pranksters are Red Herring 'Matthew and Dylan' and Team Blackout (Donavan and Hugo) who team up with stunt performer Devon Slack and prosthetics and make-up wizard CJ Goldman to stage the biggest and best pranks on an unsuspecting public. Teams head to a yoga studio and it is all hands on deck to rig the hidden cameras and special effects required to bring our pranksters' ideas to life. But which team will impress our prank-loving panel of ranksters to win the chance to stage a mind-blowing prank on a target of their choice? The reactions are big and the pranks are out of this world when Donavan and Hugo's uplifting Mediation Levitation takes on Matthew and Dylan's spacey Mars Move! For the winning team, the effectors take over a robotics lab and create the most lifelike robot ever built! But when the robot makes a dramatic escape from the lab, will our target be able to stop it? Two teams compete to pull practical jokes on an unsuspecting public. The pesky pranksters are Koala Bunnies 'Svetlana and Neptune' and Prank Bosses (James and Caiden) who join forces with prosthetics and make-up wiz CJ Goldman and SFX guru Andy Antoine to stage pranks on an unsuspecting public. The teams summon wizards and aliens on a busy city street corner and rig the hidden cameras and special effects required to bring our pranksters' ideas to life! But which team will impress our prank-loving panel of ranksters to win the chance to stage a mind-blowing prank on a target of their choice? Get ready for some gut-busting reactions when Svetlana and Neptune's Blizzard-ade takes on James and Caiden's Alien Crash Landing. And for the winning team, CJ and Andy have planned the ultimate prank with the wackiest obstacle course challenge ever created. Rank the Prank next episode air date provides TVMaze for you. EpisoDate.com is your TV show guide to Countdown Rank the Prank Episode Air Dates and to stay in touch with Rank the Prank next episode Air Date and your others favorite TV Shows. Add the shows you like to a "Watchlist" and let the site take it from there.